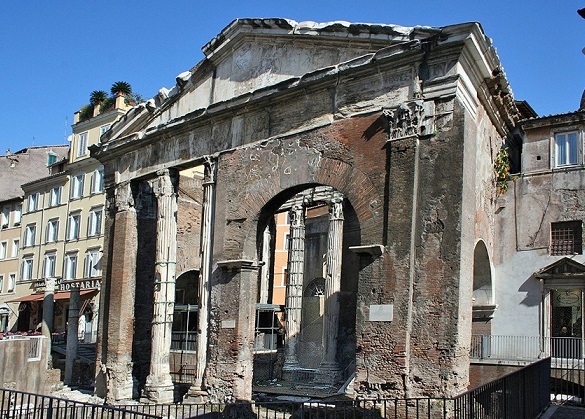 Discover a section of Rome’s historical center that many visitors don’t experience, and learn about the history of Jewish Rome on this 3-hour walking tour with a knowledgeable guide. You’ll explore Trastevere, a charming neighborhood of narrow, winding lanes that’s popular for its nightlife, as well as the Jewish Ghetto area, where you’ll see the Synagogue of Rome. Learn much about these interesting districts from an experienced guide with a background in the city’s archaeology and history. Three-hour afternoon walking tour of Trastevere and Rome's Jewish Ghetto. Walking tour of Rome's fascinating little-visited areas. Interior visit of the Basilica of Santa Maria in Trastevere (subject to church schedule) and Jewish Ghetto synagogue (exterior visit). Entertaining and informative tours led by exceptionally knowledgeable guides. Meet your guide at Largo di Torre Argentina to begin your walking tour of Trastevere and the historical Jewish Ghetto area. Before you start walking, learn from your guide about this square that’s home of ancient Roman ruins, near the site where Julius Caesar was assassinated. Throughout your tour, listen to insightful commentary from your guide, an authority on Roman archaeology, culture and history, as you see remnants from ancient Rome that sit below today’s street level, as well as relics and architecture from medieval, Renaissance and baroque periods. Learn about the churches, synagogues, historical landmarks and popular cafes that make up these districts that combine rich history with modern-day Roman life, and feel free to ask any questions you may have as you walk. Visit the Basilica of Santa Maria in Trastevere, one of the oldest churches in Rome with a past that dates back to the 340s AD, and see the exterior of the Synagogue of Rome, built in the early 1900s. Your tour ends at Campo de' Fiori, one of Rome’s busiest squares, from where you can continue exploring on your own. Meeting point: Largo di Torre Argentina. Mattei Square, Jewish Ghetto, Tiber Island, Basilica of Santa Cecilia, Church of Saint Grisogono, Basilica of Santa Maria in Trastevere, Porta Settimiana, Trilussa Square, Sistine Bridge, Farnese Square, Campo dei Fiori Square.